Enjoying your favorite beverage on the go is easier than ever with this 16 oz. Newport tumbler with custom box! 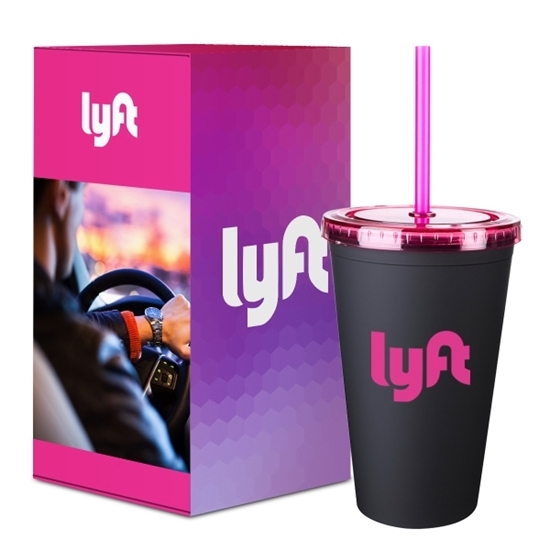 Available in assorted colors, this must-have piece of drinkware comes with a straw and can be customized to your liking - include an imprint of your company logo, message and more to create a trendy handout for fast food restaurants, car companies and so much more. Sip on promotional success today! Size: 3" x 2 1/2"; 6" x 2 1/2"
Imprint Area: 3" x 2 1/2"; 6" x 2 1/2"